It’s amazing all the different things that can be engraved. 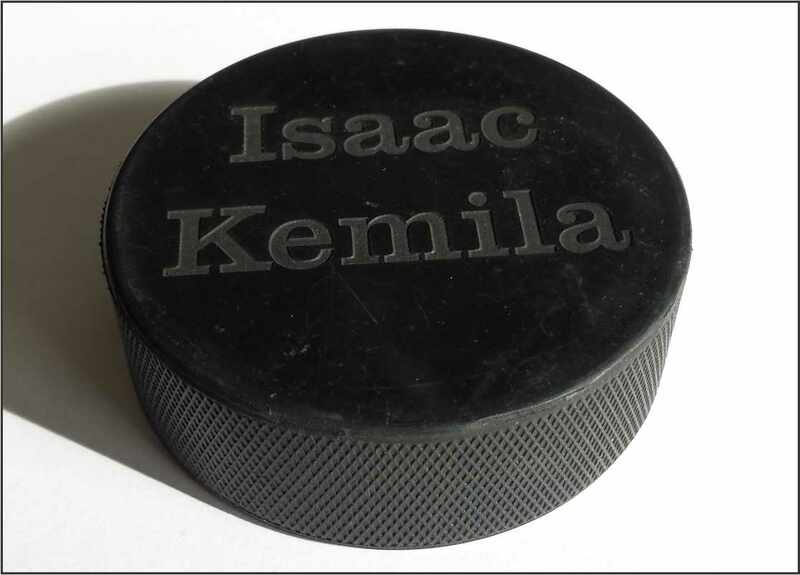 Something as simple as engraving a hockey puck can make a great gift, promotional item, a thank you to a coach, to mark a milestone or achievement, like a first goal. This hockey puck was laser engraved on our Epilogue engraver. This machine can make markings on leather, wood and plastics. Our rotatory machine deals more with engraving on metals. These two machines are just some of the machines we use in our shop. Check out our product page for a wide variety of the products we sell.